Looking for a sleek, classic look for your Arctic Cat Wildcat Trail or Wildcat Sport? Installing the Dragonfire Highback Seats into the cab of your machine can really stir up a conversation among your buds. A classic never dies, which is why getting these smooth vinyl seats for your UTV is a must have for the trails. 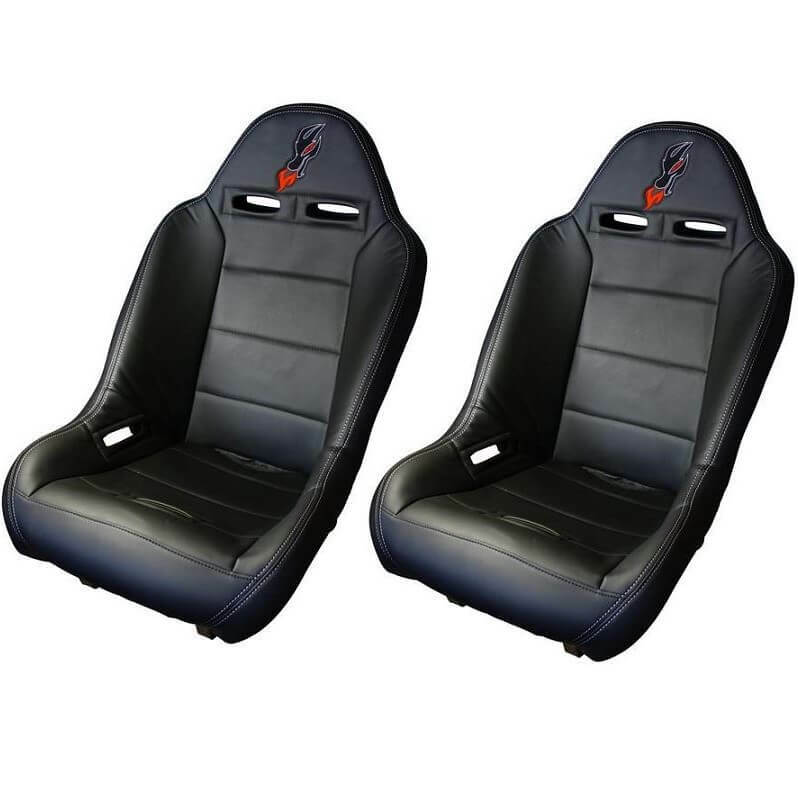 Along with their timeless style and easy seating, these bad boys are sure to impress for any driver. 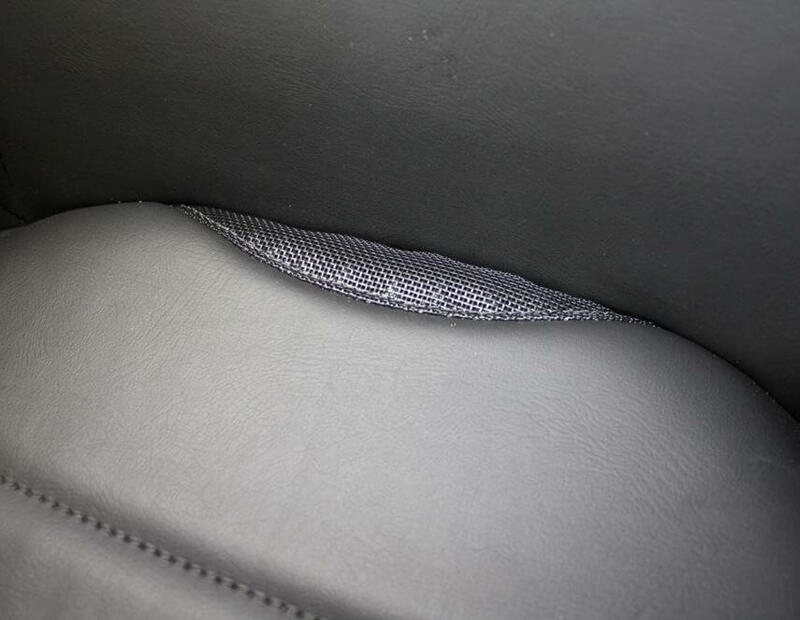 Sometimes these off-road adventures can get a bit messy, which is why these seats include a vented rear section for sand and water to go through. They are proudly hand made in the U.S.A. and include Dragonfire's signature Dragon head logo on the headrest for added style. Along with their satin finish, they are built for safety with included wide slots specifically designed for 4-point harnesses and a suspension style base to absorb those bumps and jumps along the way. 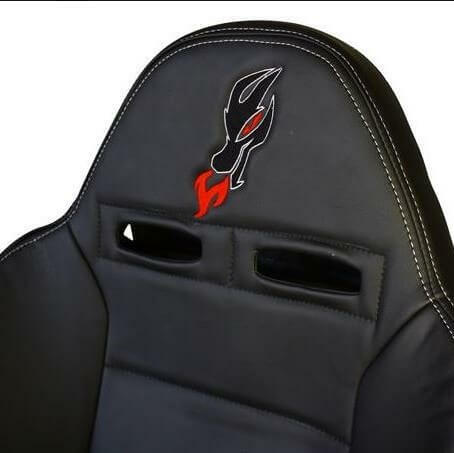 These features, along with their heavy duty French stitching design, just go to show why these seats are essential for the stylish racer in everyone! Ideal for waist size below 40"